Many people overlook the fact that chiropractors can be very helpful during pregnancy. They can help to relieve pain which mostly occurs in the back, and they can also assist in making the delivery smoother and quicker. Typically they would examine the patient from the back and look at how the skull, spine, shoulder blades, and hips line up. Anything that is protruding or leaning can mean that there is a curvature somewhere on the spine which can put extra stress on certain parts of the spine. Next, they would check the pelvis and hips right on top of the pelvic bone which is also known as the ilium and if one side is higher than the other it can mean that the affected hip is moving backwards causing pressure on the spine in the lower back. So what would they do to gently re-align the pelvis to relieve the pressure and remove some of the nerve pain? The patient would lay down on the treatment bed on their side. Since we have already determined that the pelvis is contorted, having her in that position means that the baby will be safe since she is not laying on her stomach. This side position allows them to gently move the pelvis while the patient basically gives themselves a hug. The practitioner will perform a slight twisting motion and there may be some faint cracking noises, but most people will not be alarmed by that. Once the adjustment is complete on that side, the chiropractor will have the patient move to their other side and repeat the process. To complete the treatment the Patient would lay on their back and bring their knees up to relieve the stress on the lower back. This is a very safe and effective way to give a pregnant woman relief from lower back pain without resorting to drugs. It is much more effective than medication because it treats the root of the problem instead of masking the pain with pain medication which can be very addicting if taken too often. Also chiropractic care is a lot safer for the baby since they will not be exposed to potentially dangerous doses of drugs that could cause harm in the long run. Most chiropractors would be very happy to help a woman with any pain they feel as a result of pregnancy and they might even make the delivery go smoother as well. Champion is a clinic in Edmonton where the chiropractors are very experienced with pregnancy and can even treat the baby after it is born. Here is more on an alternative method of relieving back pain in pregnant women. What Is That Cracking Sound When We Adjust Your Neck? If there is one thing that keeps people from going to see a chiropractor, it would have to be the fear of getting their neck cracked during the treatment. Lets face it, we have all seen the movies where the bad guy or even the good guy twists the neck of their adversary and breaks it with a cracking sound. This usually results in instant death for the victim. That image more than anything sticks with most people and the thought of getting their neck cracked on purpose strikes fear in their hearts. But what is really happening when your chiropractor cracks your neck? In reality they are not breaking anything at all. 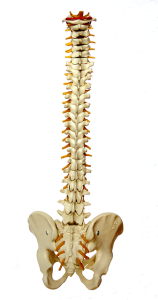 In your spine there are what we call synovial joints that are filled with synovial fluid. When the adjustment is being performed the chiropractor is releasing gas from the joint and because there is a vacuum in that joint space you get a clicking, cracking, or popping sound. The same kind of thing happens when you crack your knuckles. You are not really causing any damage although it sounds like it might be. So, there is no reason to be worried about this when you visit your chiropractor. In fact you should be more worried when you visit a medical doctor for any ailment because they will most likely try to prescribe you some drugs that you may or may not need. In addition, those same drugs may cause serious side effects even if they manage to improve your condition, so you could still end up worse off than when you started. Why not try chiropractic treatments that are totally natural and have been proven to help people for over a hundred years? If your chiropractor can’t help you, then try your regular doctor since there may be something more seriously wrong. Also don’t rule out the services of a naturopath since they can help you heal your body through nutrition and diet. They can do a simple food sensitivity test to see if there are any foods that you should be staying away from. There have been many cases of people feeling awful and then finding out that they are sensitive to certain foods. Once they stop eating those foods they start to feel much better. Here is a good short video that explains the cracking of joints a little bit more. Remember there is nothing to fear from a chiropractic treatment. Just make sure your practitioner has the proper qualifications, training, and experience. The human elbow is another very complicated joint that requires a lot of parts to work together to provide us with the mobility that we take for granted every day. When something goes wrong, we really do notice how important this joint is and we will do whatever is necessary to fix it. Blood Vessels – The largest artery that goes through the elbow is the Brachial artery which splits into two parts called the Ulnar artery and the Radial artery. These two feed blood into the hand. Nerves – The Radial nerve, Ulnar nerve, and Median nerve all travel through the elbow down to the hand. They connect to the brain and carry messages about pain, sensations, and temperature. Sometimes these nerves can be irritated because the elbow is constantly bending and can cause pain. Muscles – The main muscles connected to the elbow are the bicep, triceps, and forearm muscles. Tendons – These the tissues that connect muscle to bone. The bicep tendon connects to the biceps and the triceps tendon connects to the triceps. The outside tendon that connects to the forearm muscles is called the Lateral Epicondyle while the interior tendon is the Medial Epicondyle. Ligaments – These are soft tissue that connect bones to bones. The Joint capsule surrounds the joint and contains lubricating fluid. The Medial collateral ligament is on the inside of the elbow, and the Lateral collateral ligament is on the outside. The Annular ligament wraps around the Radial head joint. Joints – The elbow is basically a hinge joint with a second joint at the end of the Radius bone meets the Humerus bone called the Radial head. The Radial head is more complicated because it allows you turn your hand palm up and down. The joints are covered in Articular cartilage which is rubbery and slippery to allow the joint bones to slide against each other. Bones – The Humerus is the upper arm bone, the Ulma is one of the bones on the forearm on the opposite side of the thumb, and the Radius is the smaller bone of the forearm on the same side as the thumb. 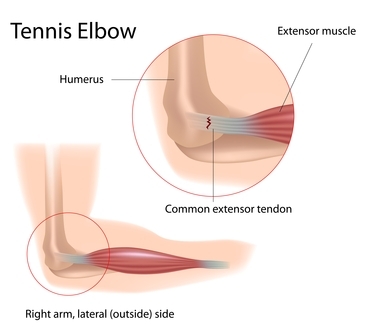 Here is a great video that illustrates how all the parts of the elbow work together. Stay tuned for an explanation of how a chiropractor would treat tennis elbow and golfers elbow. The Sciatic nerve runs from the spinal area in the lower back through the hip and down to the upper part of the leg which is also known as the Femur. Sciatica is the name that refers to the pain that is caused in the leg, lower back, and buttocks when the nerve is aggravated or has pressure on it. How do you know if you have Sciatica? You may experience suddenly feel pain in your hip, and down only one leg. It could also feel numb and may hurt more when you sitting than when you are standing. Although most people suffer from sort of back pain throughout their lives, it usually doesn’t involve the sciatic nerve. Sciatica can last for several days, and surprisingly, most people that get sciatica are in the age range of 3o to 50. Herniated Disk – The disks in your spine are like cushions between the vertebrae and they can get weaker as you get older. Sometimes the gel like substance in the disk can extend out from it’s lining and affect the sciatic nerve. This is the worst type of sciatica and can last for up to 5 weeks. Piriformis Syndrome – This is a muscle that is buried inside the buttocks and connects the spine to the thighbone. If there are muscle spasms in the piriformis, it can put pressure on the sciatic nerve and cause pain. This if the most common form of sciatica. Misalignment of the pelvis – The pelvis is made up of three bones that need to work together. Sometimes one of them becomes stuck and can put pressure on the surrounding muscles and put pressure on the sciatic nerve. Your chiropractor will assess your condition and determine the cause of your pain. They may also take a look at your posture and recommend that you modify how you sit at a desk and to be conscious of keeping your head high and shoulders back as you walk. There could be many things contributing to the pain that you feel. In this short video, Dr. Delfo from Thousand Oaks California gives us his take on sciatica and how he deals with this ailment. Our knees are pretty complicated structures that we all rely on every day to allow us to stand, walk, or run. They allow us to have tremendous mobility and when our knees become injured we realize how much we take mobility for granted. Our knees are made up of 7 main components. There several medical terms you need to know about to understand all the moving parts of the knee. Anytime someone uses the term “Medial” that refers to the part of the knee that is on the inside and closest to the other knee. When they mention the term “Lateral” that means the part of the knee on the outside or furthest from the other knee. The term Anterior is referring to the front part of the knee and the term “Posterior” is talking about the rear of the knee. The knee is the joint where the Femur and the Tibia meet and the Patella (also known as the knee cap) is made of bone and is in front of the knee. Femoral Condyles are found on the end of the Femur and rest on the top of the Tibia which is called the Tibial plateau. The Femur and the Tibia are covered in Articular cartilage which is about a quarter of an inch thick and is white with a rubbery consistancy and also is a bit slippery so that two surfaces can slide against one and other so that we can bend our knee without it binding and causing pain. The Articular cartilage also allows the joint to absorb shocks such as when we are running. Another very important part of the knee joint is the ligaments. These are tough bands of tissue that connects the ends of bones together. Two important ligaments are found on either side of the knee. You have probably heard people talk about how they have torn their MCL (Medial Collateral Ligament) or their LCL (Lateral collateral ligament). Inside the knee there are two other very important ligaments called the ACL (Anterior cruciate ligament) in the front and the PCL (Posterior cruciate ligament) in the back. The MCL and the LCL control the side to side motion of the knee and the ACL and the PCL control the front to back motion of the knee. There are two more special types of ligaments that are between the Tibia and Femur called the Lateral meniscus and the Medial meniscus. These work like a gasket and help the ligaments with the stability of the knee. For a more detailed explanation watch the graphic demonstration below. Can a Chiropractor Help you with Foot Pain? We all know that a chiropractor is one of the first people you think of when you have back or neck pain, but can they help you get rid of foot pain? 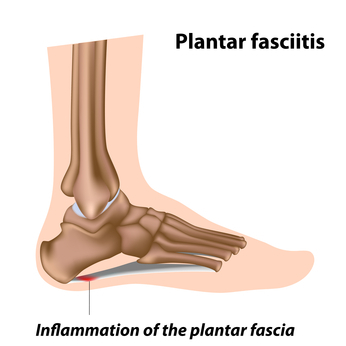 Conditions like flat feet or plantar fasciitis can cause pain in your foot, leg or back. A chiropractor can certainly help you to get rid of the pain and make you feel all better. 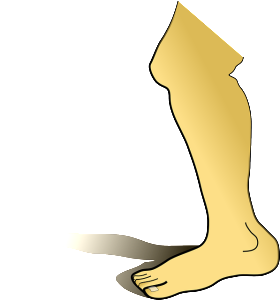 They will start by assessing the area on the bottom of the foot and the top of the ankle. There may be tightness in those areas, so they will massage and work through any knots they may find. They will also massage and work on the muscles around the shin bone. Here is a visual explanation of what they look for and how you can work on the problem yourself. Most people have no idea that chiropractors can treat a variety of ailments and not just car accident or sports injuries. Sure they get plenty of those types of patients, and some chiropractors even treat professional sports athletes like football, baseball, and basketball players. When you think about it, why wouldn’t you try fixing your condition naturally before going to a traditional medical doctor? Chances are that they will just want to prescribe some type of medication that costs you or your health plan a lot of money. However these pharmaceutical drugs can cause more problems than any benefit they may give you. I am sure you have seen all the commercials on American television – it seems that almost half of them are from the big drug companies pushing one of their new medications and telling you to ask your doctor to try it on you. The problem with this, is that there is just too much money involved in the drug industry to really believe that they have your best interests at heart. The drug companies send salesman to doctor’s offices and give them some free samples hoping that the doctor will start prescribing their drug to their patients. When this happens the doctor makes money for writing the prescription and the drug companies make money because you bought their medication. Whether or not the drug actually helped you seems to be a secondary consideration. I am not saying that prescription drugs do not have a place in the maintenance of our health, but they should be used as a last resort if possible. Of course there are exceptions such as antibiotics. If you have an infection, it would be stupid to avoid antibiotics because they will cure your condition. The same can’t be said for most other prescription drugs. Most of the medications put out by the pharmaceutical companies are designed to manage your condition and keep you paying them every month for the rest of your life. Very few medications actually cure anything. Always check with your chiropractor or naturopath for any chronic or non life threatening conditions. Obviously if you have an emergency you need to seek medical care right away. Since sports and chiropractic treatments go hand in hand, we thought we would talk about all the sports drinks that are available on the market. We have all seen sports stars like Sidney Crosby pitching Gatorade, or was it Poweraide? Do these drinks help you perform and recover better than plain old water? Which ones should you take? What nutrients do you need to replace? You ever hear of people talking about losing electrolytes and wonder what they are talking about? Electrolytes are ions (and in some cases, essential minerals) that affect metabolic processes in your body, including the movement of nutrients into your cells and the removal of cellular waste products. For normal cellular function to occur, electrolytes help regulate the acid-base balance in your body. For example, when you’re out for your daily run, you lose sweat that contains numerous electrolytes, including calcium, magnesium, sodium, chloride, and potassium, among others. Significant sweat loss without electrolyte replenishment may lead to severe dehydration. Why do we sweat during physical activity? It’s simple, to help keep your core temperature constant. To maintain your core temperature at 37 degrees C, fluid and electrolytes are lost. In extreme environmental conditions, such as a scorching hot day, dehydration can occur rapidly. The effects of dehydration depend on the percentage of body weight lost as sweat during prolonged physical activity. Your exercise performance will be impaired after losing as little as 2 percent of your body weight as sweat. A 4 percent body weight loss as sweat will significantly reduce your ability to perform a muscular workout. A 5-7 percent body weight loss as sweat can cause heat exhaustion and hallucinations. If you lose 10 percent of your body weight as sweat, you will experience circulatory collapse and heat stroke. What is carbohydrate depletion you might be asking? Glycogen is the primary form in which glucose (sugar) is stored in your liver and muscle tissue. During prolonged physical activity, the stored glycogen reserve becomes depleted. Your body converts glycogen to glucose to maintain your blood glucose levels during physical exertion. When you perform exercise that relies more on carbohydrates as a fuel rather than fats, you can maintain a relatively high intensity for about 2 hours. After 2 hours, your muscle and liver glycogen stores are in danger of being depleted. Further exercise will require the consumption of carbohydrates to stave off low blood sugar levels, fatigue and other detrimental effects to your body and performance. Consuming carbohydrates during exercise can help you maintain your body’s glycogen levels and give you the energy needed to carry out that particular activity. Most appropriate for individuals participating in vigorous physical activity, 45-60 minutes, during which time you are sweating profusely. Sports drinks may provide little benefit beyond water for individuals participating in low intensity activity for short durations. Caffeine, often found in high amounts in these drinks, stimulates your nervous system and actually may improve your endurance performance (exercise ventilation and lung function). Caffeine may also raise your heart rate and blood pressure. Some people who consume large amounts of caffeine may experience insomnia, irritability, restlessness, headaches, and heart palpitations. High-fructose corn syrup and other types of added sweeteners are common ingredients in sports drinks and are linked to weight gain, dental cavities, poor nutrition, and elevated triglyceride levels, which may significantly increase the likelihood of a heart attack. Make your own sports drink using other products readily available in many grocery stores. Coconut water (clear fluid inside coconuts) is an excellent substitution for conventional sports drinks as it contains significant amounts of electrolytes, minerals, and antioxidants. To make your own sports drink, blend ice and water with one apple, two carrots, two celery sticks, one small parsley bunch, and a handful of mixed greens. What is causing your sore back in the morning? Here is a great article about what could be causing you to get up in the morning with a sore back or neck. They talk about something that we always ask our patients – what kind of bed do you have? That is much more important than most people think and it is almost always overlooked. Have you noticed lately that you are waking up stiff and sore in the morning? This can be related to many issues. My first question for people is “how old is your bed”? If it is over 10 years old or if it is sagging in the place you usually sleep, it is definitely time to replace it. Even if it is a fancy Select Comfort or Tempurpedic guaranteed to last 20-25 years, I have had both models replaced due to warranty failure within 10 years. My Select Comfort caused me to constantly tilt to the middle of the bed and my Tempurpedic excessively softened 13 years too soon. Tempurpedic was great with their warranty and I now have a new one. I sold the Select Comfort on ebay. Beds don’t last forever, even at the crazy prices they are sold for today. Second question… What position are you sleeping in? All my stomach sleepers would spend much less money in my office and feel an awful lot better if they changed to sleeping on their side or back. It is possible to change. How do I know? I have done it. I had to start shoving pillows on one side of me to start the rolling over process and I had to be really intentional about waking myself up and flipping over in the middle of the night if I noticed I was on my stomach. It’s a hard habit to break and you may be a little bit miserable from your lack of sleep for awhile. Long term, your back and neck will thank you. Third question…Is this an underlying issue that is just becoming obvious when you don’t have anything to think of other than sleep? Is your neck or back hurting and are you simply ignoring it versus dealing with it? Your body may be taking an opportunity to wake you up and let you know that you need to get back to a regular schedule at the chiropractor. If you have never been, now may be a good time to start. If the issue has been going on longer than a couple days, I would find a reputable, highly reviewed chiropractor and at the very least give them a call and ask a few questions over the phone. The post Are you stiff and sore in the morning? appeared first on Active Family Chiropractic Blog. If you have ever been to a chiropractor you may have heard them use the term Graston Technique. They may have even used it to treat your specific ailment or injury. Basically, it involves using special metal instruments to treat any area of the body. I could go on for several paragraphs explaining how it works, but this excellent video does a great job of demonstrating how we use graston to get you back into tip top shape.